Video: What is the Child Development Center? The Willamette Family Child Development Center (CDC) is licensed by the Child Care Division of the State of Oregon and is the only program of its kind in Lane County. Inclusive classrooms offer a nurturing environment and are designed to address the developmental and specific needs of children from 6 weeks through 6 years of age within their specific age group. The CDC is accessible for parents who are participating in Willamette Family services. 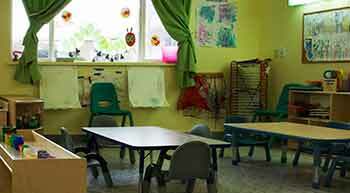 There are no sources that adequately provide fund- ing for the Child Development Center. Partial state funding, a few small grants, and donations provide support for some classes. Ongoing community contributions are greatly appreciated. How do I know if my family qualifies? If you are participating in Willamette Family Treatment Services and your child is between the ages of 6 weeks through 6 years of age, you may qualify to access the Child Development Center. How do I access Child Development Center? Call or visit our Rapid Access Center (RAC) to complete an assessment.